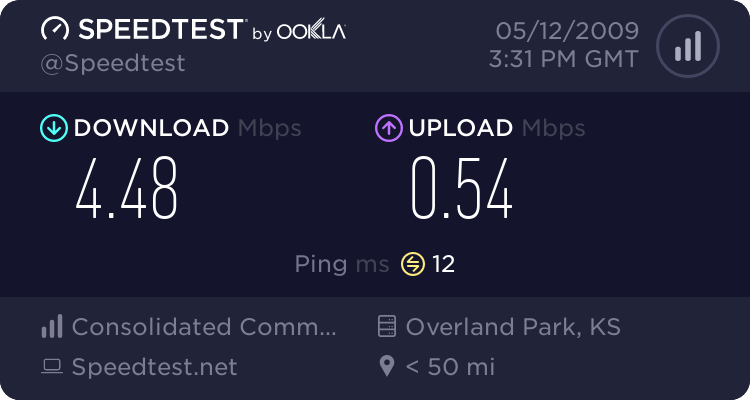 Just moved to my new place and Timewarner bumped up there download speed. I'm happy with it! Better then some of my friends Fios speeds! Just ran this test now. 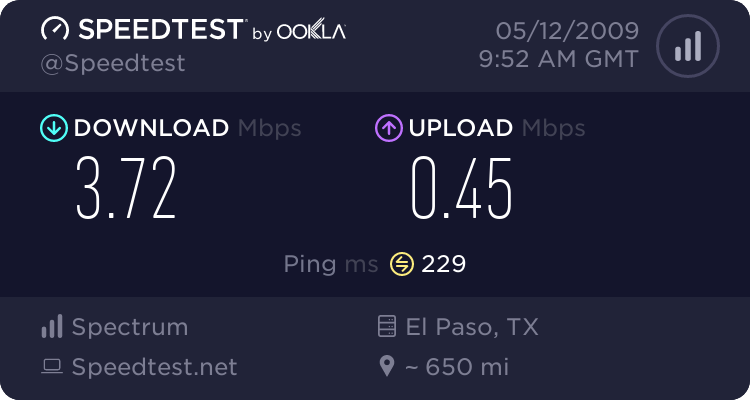 Re: What is your ISP speed? Not bad for advertised 24 down 1 up. Normally my upload is higher...my speeds are a bit all over the place today. 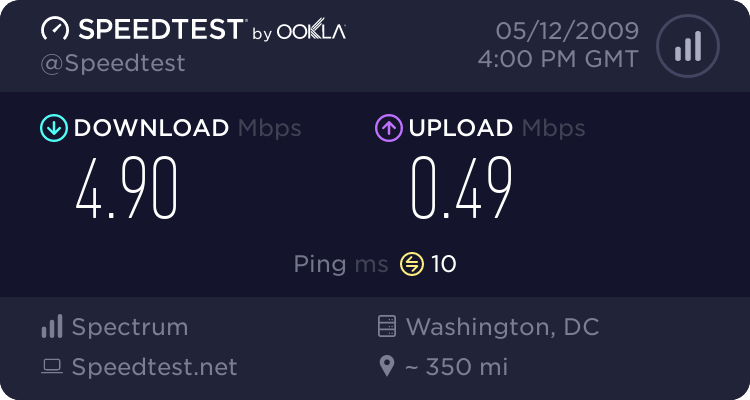 I'm rated at having 12mbps bursts, so I think that's pretty good. 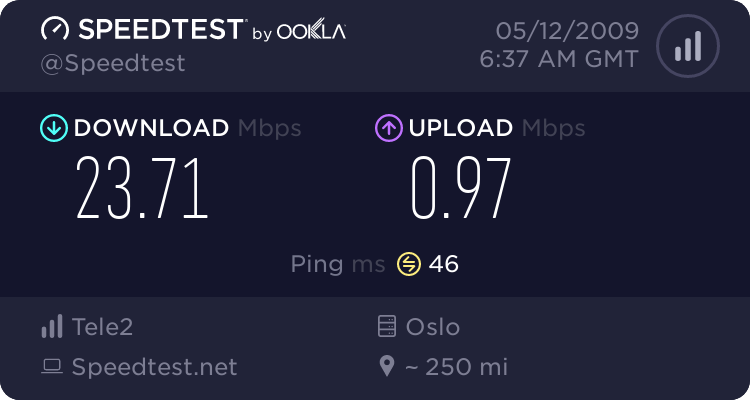 Cable has good download speeds but almost always FiOS beats cable in upload. 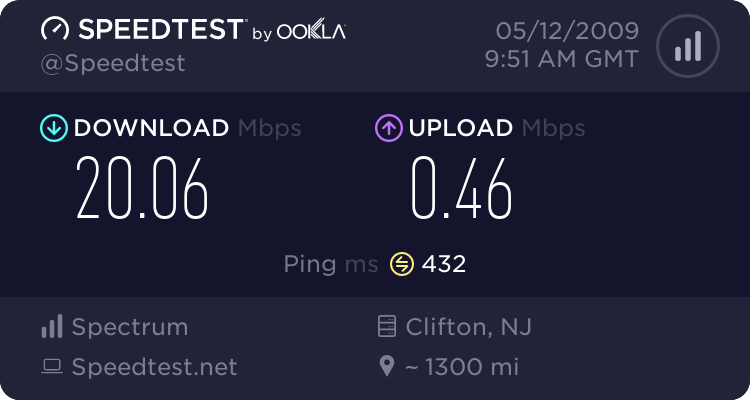 And FiOS offers higher speeds than Cable. 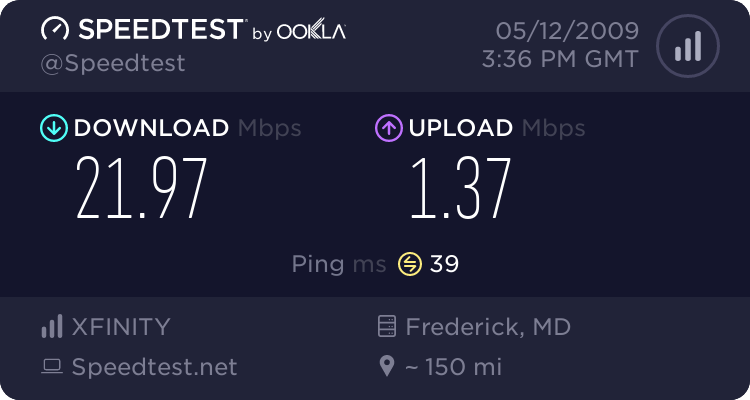 Currently Comcast's max is around 50mbps download and FiOS can go up to 120mbps I believe. Cable tops at like 20mbps at the absolute highest upload speeds. FiOS can go to like 120mbps again.